Posted December 1, 2014 by Tamara Circle, mother of Jackson?? On July 1, 2014, my husband and I welcomed into the world our second son, Jackson Fynn Circle. It was one of the happiest days of our lives. Little did we know that in just a few short weeks later, the happiest day of our life would turn into one of the saddest days of our lives. Like most newborns, Jackson was jaundiced, not enough to require any time under phototherapy lights or the use of a biliblanket, just typical newborn jaundice. In the following weeks however, the jaundice got worse, not better. At almost 4 weeks old, lab work showed that Jackson’s bilirubin was higher than it was at birth and that his liver enzymes were elevated. Upon arrival to the Emergency Department at Children’s Hospital of Pittsburgh of UPMC, Jackson was quickly assessed and admitted for further observation and testing. After 5 days of endless tests and lab work, Jackson was released with no clear finding or explanation for why he was jaundiced or why his liver was inflamed. The following week, we returned to Children’s for Jackson to be seen in the clinic for further evaluation by liver specialist, Veena Venkat, MD. We learned that further lab work and testing would be needed, most importantly a test called a HIDA scan. The HIDA scan would tell us if bile was flowing from Jackson’s liver to his small intestine as it should. Within 24 hours, if the radioactive tracer that was injected did not end up in Jackson’s bowel, we knew that Jackson could be facing very serious health problems. A week later, on Aug. 13, we arrived back at Children’s for Jackson to have the HIDA scan. After 4 hours, no tracer was seen. We waited another 2 hours and again after 6 hours; still no tracer. Scared and fearing the worst, we were sent home and were informed to return in the morning to see if the tracer showed up after 24 hours as some times, in rare cases, the tracer moves slower than normal and will take the full 24 hours to show up. After a night of tossing and turning, and no sleep, we returned to Children’s the morning of Aug. 14, to learn that after 24 hours, the tracer had still not shown up in Jackson’s bowel. We were faced head on with our worst fears, that Jackson would need an operation (intraoperative cholangiogram and liver biopsy) to confirm that he did in fact have liver disease and even worse, a rare kind called biliary atresia, in which there is no cure. In the next several days, we learned all about biliary atresia and the hurdles that Jackson was about to face for the rest of his life. With each conversation and with every article we read, we became more and more scared. Biliary atresia is a rare condition affecting approximately 1 in 10,000 to 20,000 births. Biliary atresia is a disease of the liver’s bile ducts. Shortly after birth, the bile ducts become inflamed and blocked, resulting in bile remaining in the liver. With bile remaining in the liver, liver cells began to destroy rapidly and cause cirrhosis, or scarring of the liver. Cirrhosis ultimately results in liver failure and then warrants a liver transplant. In order to prevent further liver damage, Jackson underwent surgery on Aug. 26, at 8 weeks old to have a procedure done called a Kasai by Stefan Scholz, MD, PhD, FACS, FAAP, director, Minimally Invasive Surgery at Children’s. The Kasai procedure is a procedure in which the liver is connected directly to the small intestine to drain bile. Although the Kasai procedure is most often not a cure for biliary atresia, it can give babies a chance to grow and live life, but mainly delays the need for liver transplant. After 16 very long days in the hospital, Jackson was finally on the mend from his surgery and we were released home. Today, Jackson is 90 days post-Kasai and we are extremely happy to announce that he is doing great! His Kasai is working the way we prayed it would and his bilirubin is back to normal. There is no guarantee that the Kasai will continue to work for the rest of his life and at some point he made need a transplant, but for today, he is happy and thriving and we are so truly blessed with his progress. 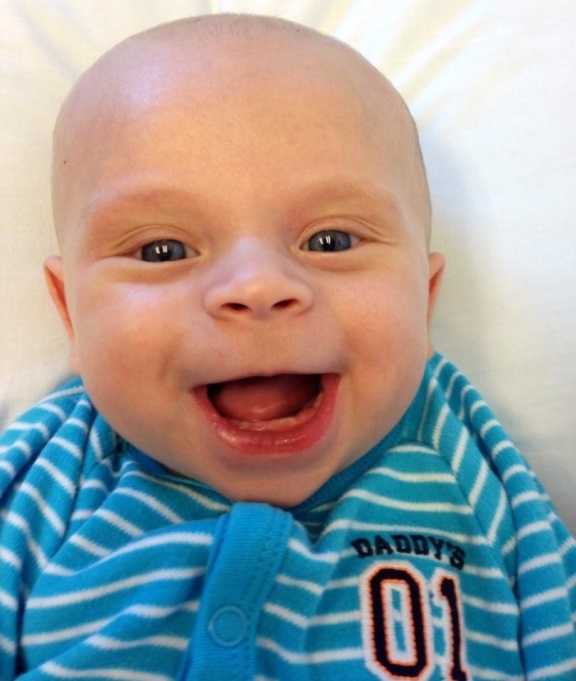 Jackson’s journey with biliary atresia has been the most difficult time of our life. Our journey along this path has been paved by some very extraordinary and remarkable people and without them we would be lost. To our wonderful team of doctors, the compassion you have for your patients is truly amazing and there are no words to describe the gratitude and appreciation we have for all of you. Without each of you, Jackson would not be where he is today. Thank you for all you have done and will continue to do. To some of the most caring nurses we have ever met: Lauren, Jen, Liz, and Maddie, thank you for fighting for us, crying with us, but most importantly loving Jackson like he was your own. You have touched our hearts and forever left a mark. Not only have we been blessed with an amazing hospital, doctors and nurses, but also with the most loving and supporting family and friends who have been with us each and every step of the way. We are humbled at your endless generosity and thank God for all of you. Along Jackson’s journey we have shed many tears, lost several hours of sleep, and asked the question “Why?” probably a million times. A very wise and dear friend reminded me that good things don’t just happen to good people and bad things don’t just happen to bad people. At some point in time in all of our lives, good and bad things will happen to us whether we believe they should or not. With this, I realized that I could keep feeling sorry for myself, or I could wipe my tears away and do something. 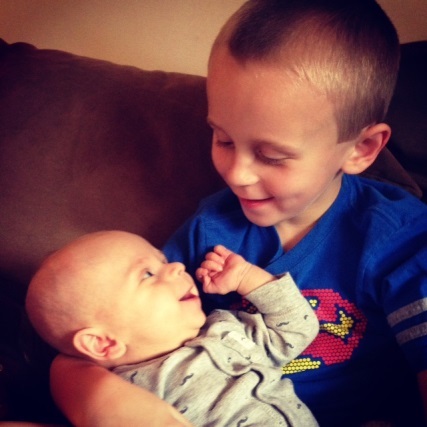 Up until Jackson’s diagnosis, we had never once heard or read about biliary atresia. This is something we are determined to change. Not only do we plan to give biliary atresia a voice, but we plan to help fund research to find a cure and to help other families battling this disease. Today (Dec. 1) is National Biliary Atresia Awareness Day. We ask that you share our story with as many people as possible to help us bring awareness to this devastating disease. Not only does biliary atresia need a voice, it needs a cure. Green is the awareness color associated with biliary atresia, so today, please wear your green and think not only of Jackson, but every precious baby fighting the biliary atresia battle. Editor’s note: If you would like to find out more about biliary atresia or help spread awareness, please visit the families page at www.gofundme.com/gfj584 or email ttochell@yahoo.com. Hello. My name is Laura Sigmund and our son has biliary atresia. He is 4.5 years old. 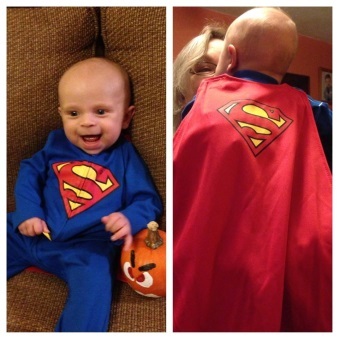 He had the kasai procedure at 8 weeks of age and has been doing great ever since! We are very close to pittsburgh. If you ever need to talk or have questions, I’d be more than happy to help! Take care and I’m glad Jackson is doing well!